Here's what just a few of our clients are saying about us. Carla is friendly, professional and very knowledgeable. Not only was the cause of the pain treated, I was also given tips to aid recovery and prevent future problems. I felt completely at ease at each stage of the process. Martial Artists put our bodies through rigorous training and with Carla’s extensive knowledge about this she understands our needs precisely. I see Carla on a regular basis for general body maintenance and will continue to do so. I highly recommend her to anyone in Martial Arts. Following my treatment and training I thought that I would drop you a quick note to let you know that I completed 840 miles of trail running and cycled in excess of 2000 miles last year (all GPS measured). So I think it’s fair to say that the treatment was a resounding success! The recovery was aided in no small part by the excellent treatment and advice that I received from Carla Downton, my osteopath. Thank you for the work on my spine. My wife and I have been seeing Carla and her colleagues at Natural Health Works for the last few years. We both play hockey and lead active lives. We both often need treatment for injuries as well as wear and tear on our bodies. Carla has been amazing! Her knowledge of a wide range of approaches enables her to offer us range of really effective treatments and advice. The team at Health Works are both professional and extremely friendly. We have recommended both friends and colleagues at school who have also become regular clients. We wouldn’t go anywhere else. I have been a patient of Carla Downton at Natural Health Works, Ingatestone, Essex for the last 15 months. I was diagnosed with M.E. – C.F.S in April 2011, having become too ill to be able to work. My NHS GP and Occupational Health doctor had offered no more than rest and a phrased return to work. I heard about the Perrin Technique and searched the internet for a local practitioner – this is when I first met Carla Downton. 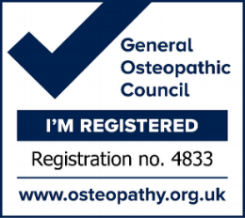 Carla Downton is a very knowledgeable and experienced osteopath. At the beginning of every treatment we discuss any problems I have been having, both physically and due to the stressful nature of the illness. Each treatment is therefore tailored to your individual needs at the time. Carla is very thorough and always explains everything in detail, and that has certainly aided my understanding of what is happening to my body. She also gives details of what I can do to help between appointments, including teaching me the daily Perrin lymphatic drainage technique. I would recommend Carla Downton to anyone. She has worked hard to enable me to return to full-time work, and we are now working hard to keep me there! Her caring, dedicated and professional nature gives me great faith that the Perrin Technique will help me to eventually return to a full and active life again.